Are you in love with the Financial District? If so, it’s time to spring into action with Focus’ latest listings in the Downtown area! Our offerings at the Southbridge Complex offer plenty of convenience and enjoyment. Set in the heart of the Fulton/Seaport, neighborhood residents and visitors are drawn to the area for its top retail, dining, cultural and waterfront attractions. 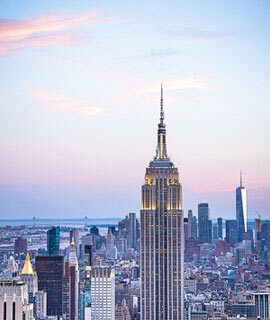 Reap the benefits of the unparalleled views of the Brooklyn Bridge, river and the city skyline. 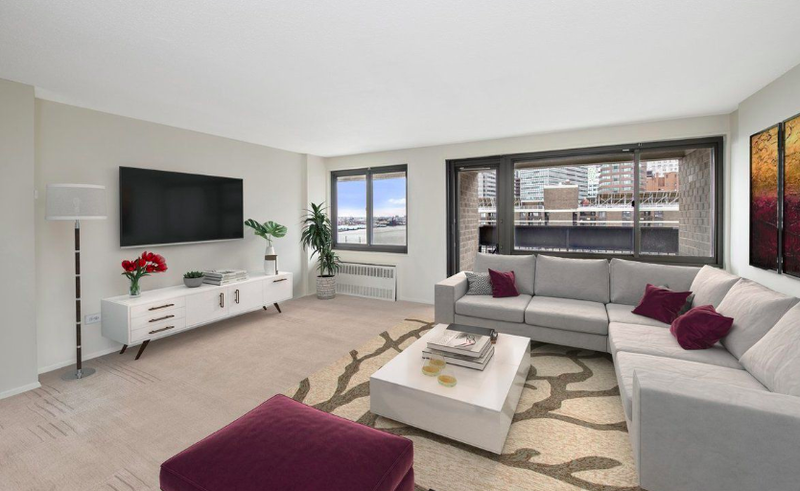 Located in Fulton/Seaport – this rarely available top floor 2 bedroom, 1 bathroom home offers a flexible and functional layout and loads of potential. The unit has a private outdoor balcony with river and city views. The open living room offers a functional lounging and dining area with access to a spacious south-facing balcony. The kitchen layout is flexible – it can be kept separate or transformed to open concept (allowing direct views of the East River). The master bedroom offers a more southern light and room for a king-size bed (plus additional furniture). The second bedroom features city views. Throughout the unit, you will find 5 closets throughout with room to build out additional storage space. The ultra-low maintenance includes utilities (heat, hot water, gas and electricity) and property taxes. 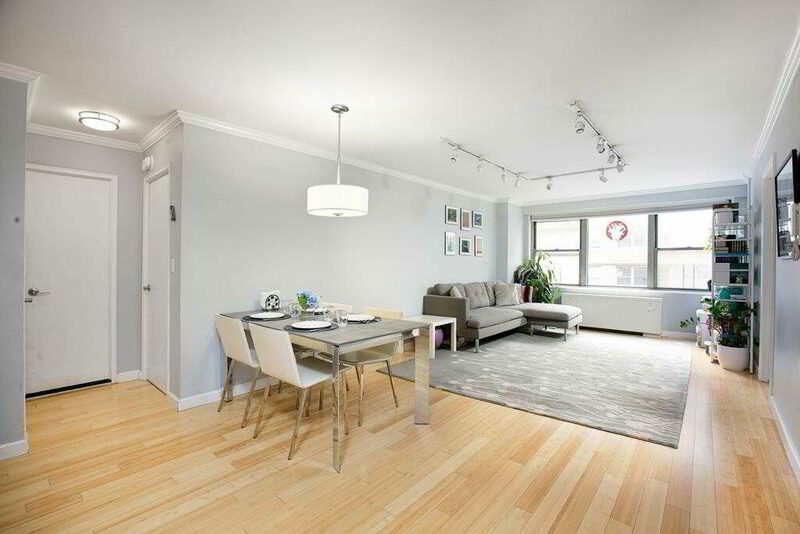 This east-facing 2 bedroom with dining alcove unit offers a flexible and functional layout. The unit offers private outdoor space with eastern views. The ultra-low maintenance includes utilities (heat, hot water, gas and electricity) and property taxes. This west facing 2 bedroom with dining alcove offers a flexible and functional layout and loads of potential. This home features an updated kitchen and generous closet space. The three units are part of the 9-building, 1651-unit coop complex known as Southbridge Towers. 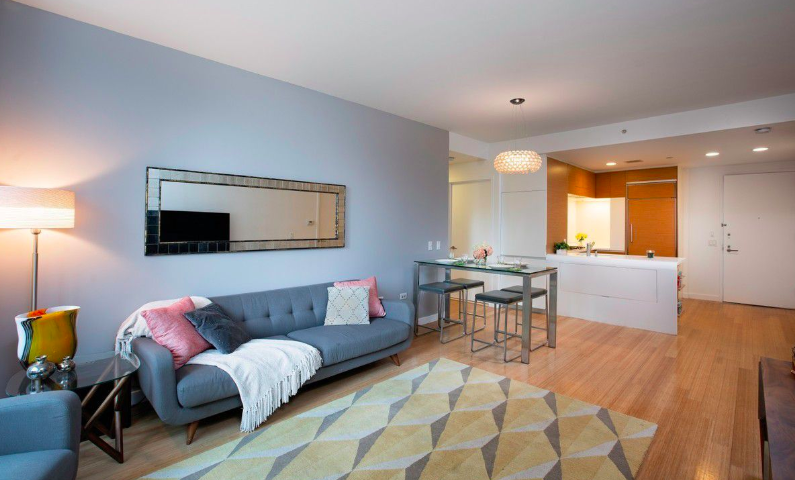 Residents can enjoy a beautiful, well-maintained and landscaped community, 24 hour security, attended lobby, on-site laundry room, recreation center, outdoor basketball court, 2 playgrounds, 2 ICON parking garages and resident storage rooms (both for an additional fee). 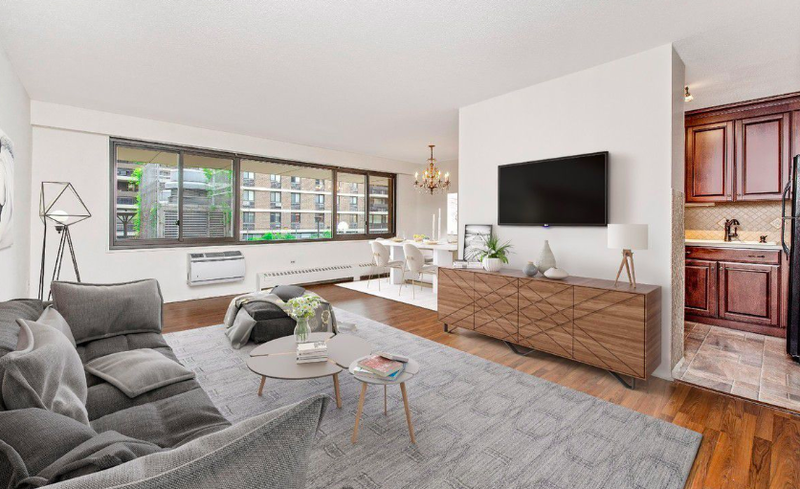 This pet friendly complex allows co-purchasing, parental purchasing, guarantors and pied-a-terre case by case. For a sleek look, there is custom Italian teak-faced cabinetry by Schiffini. The living area is large enough to hold both seating space and dining with Freedom Tower views. Each room is large enough to hold a Queen size bed or even a King in the master. They all have beautiful treeline views and two have an en-suite bath! The Master bathroom contains a five-piece bathroom while the other en-suite is a three. Complete with 5 large closets and built-ins in the master explains why this unit stands above the rest! At Riverhouse, One Rockefeller Park, enjoy Poets House, a 45,000 volume poetry library and Le Pain Quotidien. Within minutes are Rockefeller Park, Teardrop Park, the Hudson River Esplanade and Tribecas culinary delights, including Whole Foods. Regal Cinema, P.J. Clark’s, Shakeshack, Parm, North End Grill, and of course Brookfield Place are also conveniently located. To learn more about this property or schedule an appointment, click here. Enter onto your light Bamboo floors, and into this open feeling, beautifully renovated two bedroom home. The owners renovated the kitchen to have a breakfast bar with comfortable seating for three, a double drawer dishwasher, filtered water, and quartzite countertops. The Parker Gramercy is perfectly located in the Flatiron District. The building offers a full-time doorman, valet service and parking garage for an additional fee and an on site Resident Manager. 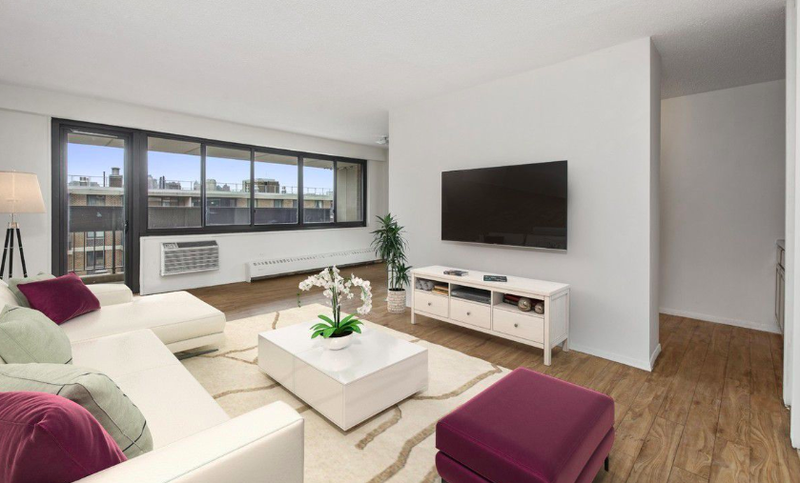 Just minutes away are Union Square Park & the Farmers Market, Whole Foods, and Trader Joe’s. Convenient transportation via the 4,5,6,N,Q,R, and L trains. Some of NYC’s Best Restaurants are nearby such as Gramercy Tavern, Casa Mano, Yama, ABC Kitchen and Craft. Do not miss out on this once in a lifetime opportunity! Maintenance is $1,858 all together. $1,531.91 is the maintenance, and $326.68 is an ongoing assessment. More information on the property can be found here. If you are interested in scheduling a showing for either of these properties or would like to see similar options, contact us today! 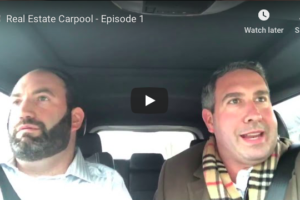 Matt identified that it used to be a seller’s market in Long Island, but has shifted to a buyer’s market – especially for the luxury segment. It is important to have an up-to-date home to ensure that prices are not dictated by buyers. NYC is also seeing similar trends for the luxury market and foreign investments have decreased over the years. Price points are also lower, which is giving buyers more leverage. Mortgage contingencies are actually becoming more popular on buy-side deals as well. The market and consumers saw this coming and we are still at a historically all-time low – even at 5%. The team is surprised to see the feds raise the rate again, but anticipates for this to level out over time. What was 2018 like for the Focus Team and projections for 2019? 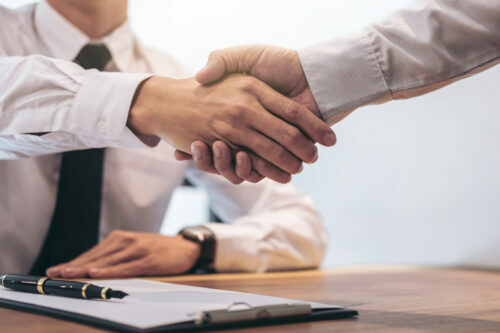 The Long Island team had 60 transactions and are expecting to see upward trends for the 2019 period. The NYC team saw similar numbers to the year before even with major market shifts. The team implemented many systems for automation and growth throughout the year. The Focus Team approach affords our clients a concierge experience through our expertise in specialized roles to provide an unparalleled level of service throughout the buying, selling and leasing process. To learn more about our team or to book an appointment with us today, contact us. Here are our top tips before you buy. The checklist below will help you prepare for your home search and ensure you are able to find the perfect home. You must know how much you can spend before you spend it. Condominium apartments require at least 10% down; cooperative apartments generally require at least 20% down. However, every building is different. 20% of Manhattan’s buildings are condominium buildings and the other 80% are cooperatives. The buyer’s attorney does ‘due diligence’-reading minutes, financial statements of buildings etc. Space, light, views, building amenities, are all factors to keep in mind while making the time to view at open houses. Factors that can go into include but are not limited to: confirming the right moving team, taking time off of work, and making sure that your children are set to go to school in a new location. Some of the top priorities when it comes to neighborhoods are the commute to work and the distinctive flare that each offers. Again, each neighborhood can have an impact on daily commute, so you will want to make sure that it is manageable for you. Cooperative apartment buildings require board approval before a closing can take happen. Condominiums require an information packet to be completed before a closing can take place. Once the apartment has been selected, review building financials with your broker and attorney. 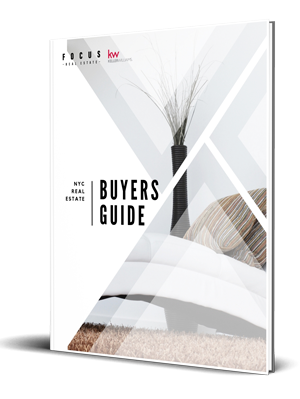 To learn more about the buying process in NYC, download our full guide here. You can also contact us with questions or if you would like to speak with our buying specialists.